Sky News partners with LiveU for live coverage of the UK election. Hackensack, N.J., June 2017: Sky News, leading UK TV and online news provider, has once again turned to the market-leading video-over-cellular company LiveU to provide all-embracing live coverage of the UK General Election, which will be held on June 8th. Crucial to the order is the company’s ability to supply a very high volume of portable transmission units at short notice. LiveU’s UK partner Garland Partners is again overseeing this complex project. 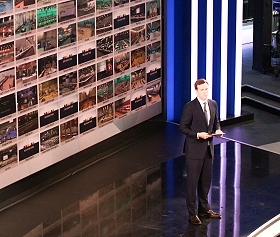 Once again, Sky News will be using an IP set-up in a specially built studio – including a huge video wall for all the incoming feeds – then taking selected live feeds for broadcast via its Network Operations Centre. All live feeds will be available online via YouTube Live. LiveU Central, the company’s unified management platform, will be key to the project. It provides those in the studio with both remote monitoring and control capabilities, providing essential access to units in real-time. Sky News has recently expanded its permanent fleet of LiveU units, including the recently launched flagship LU600. Sky News has LiveU units across the UK and in Los Angeles, two in Washington D.C. and one each in New York, Delhi, Moscow and Jerusalem.